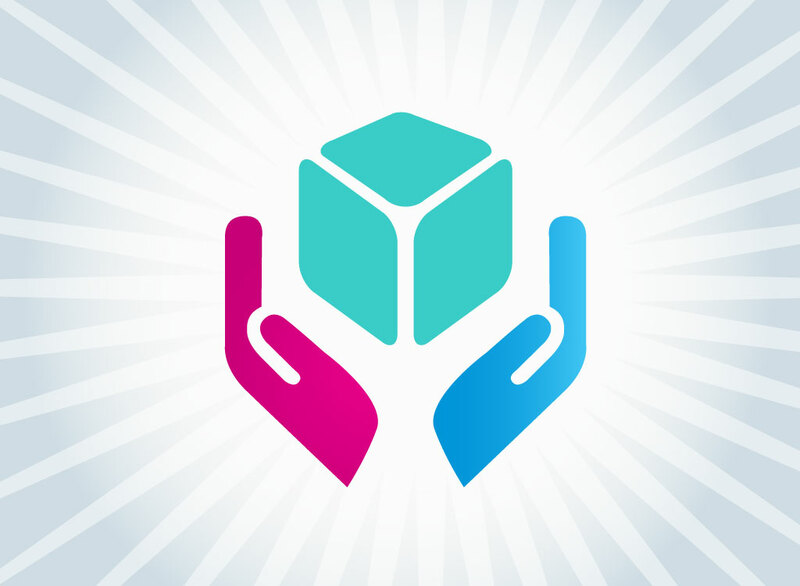 Vector icon representing two open hands waiting to receive a cube moving towards them. Colorful stylized graphics ideally suited to logo work. The bright magenta and blue color scheme brings to mind spring, happiness and joy. Free download for your logo inspiration and symbolic images. Tags: Box, Delivery, Getting, Gift, Giving, Icons, Sharing, Symbol, Vector Icons.